After running countless ads (and spending lots of money) on Facebook Ads over the years, here are some hard lessons I’ve learned about when Facebook Ads can work. Too often brands pour money into ad channels without calculating their efficiency first. Efficiency in audience segmentation, the potential for ROI, and payback period. As a result, many marketers overspend on Facebook trying to reach their audience, rack up high customer acquisition costs, and due to longer (or non-existent) payback periods, don’t have the cash to reinvest into the channel in order to scale its output. The above statement will be true for many. But often times it’s a cop-out for a poorly thought-out strategy. I’ve run many ad campaigns through Facebook over the years, and have spent lots of money doing so. Based on the hard lessons I’ve learned, I’ve put together this simple framework to help those struggling with ROI better evaluate whether Facebook Ads can work as an acquisition channel for their specific use case. If it seems overly simplified, it’s because it is. 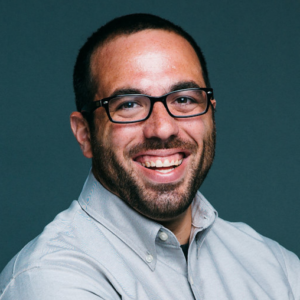 There’s a lot that goes into calculating customer acquisition costs and whether or not the economics of a specific channel make sense, but by using the following three points as a guidepost, you’ll have a better idea as to when Facebook Ads can work for you, as well as be that much closer to putting together a smarter approach for your ad spend. Does your audience live within Facebook? Or are you going to overspend in order to reach it? Just because a channel has a large audience doesn’t mean the targeting capabilities exist that allow you to zero in on your audience. You’re not trying to target everyone. You’re trying to get as close as possible to only targeting the specific market segment your company is going after. Any extraneous impressions are sunk cost. 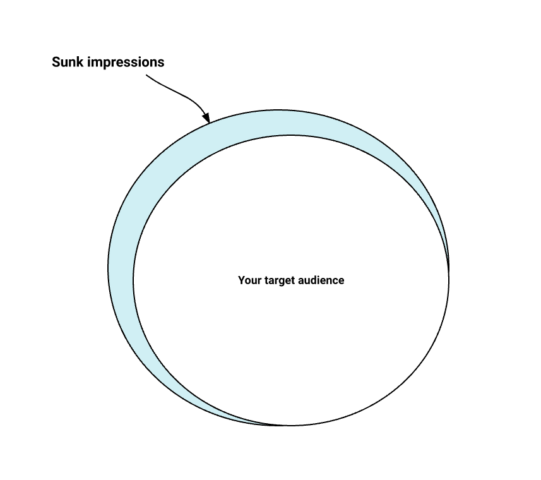 While there will always be an element of sunk impressions (ad targeting is still an inexact science) in the above scenario you’ve done a great job of isolating your target segment, and as a result, have an exposure rate made up mostly of the intended audience. This equates to increased engagement and lower customer acquisition costs. However, Facebook’s targeting criteria are so vast that you can actually overshoot your target audience and pay for impressions far outside of your actual audience composition. Ultimately this drives engagement down and customer acquisition costs up. You’ve reached your target audience, and much more. An imbalance in exposure is a hidden cost, as in the above scenario, you have reached your target audience. You’ll drive some qualified conversions, likely at a higher cost, which means payback period becomes that much more important in your efforts to cover costs and reinvest cash in the hopes of driving a profitable channel. Does Facebook allow you to zero in on your specific audience, and only your specific audience, without overspending for sunk impressions? A common mistake I see brands making when advertising on Facebook is promoting high-intent ads (i.e. product promotions) when their conversion path has a high barrier of entry. In other words, many of these advertisements require a demo request, credit card information, or a sales consult in order to convert. Facebook is a mid-to-low intent channel. By comparison, Google AdWords is a mid-to-high intent channel, as prospective customers found you based on their search queries. While intent can be a bit higher for retargeting campaigns on Facebook, generally people aren’t scrolling through their Facebook feeds looking for you as they would be on AdWords. The user intent is lower, therefore it’s critical that you match the intent of your ad with the intent of the channel. High-barrier, high-intent ads on Facebook are more likely to see low engagement and drive your acquisition cost way up. These ads will likely see better engagement on AdWords, where the intent of the ad matches the intent of the channel. So does this mean that high-intent ads never work on Facebook? 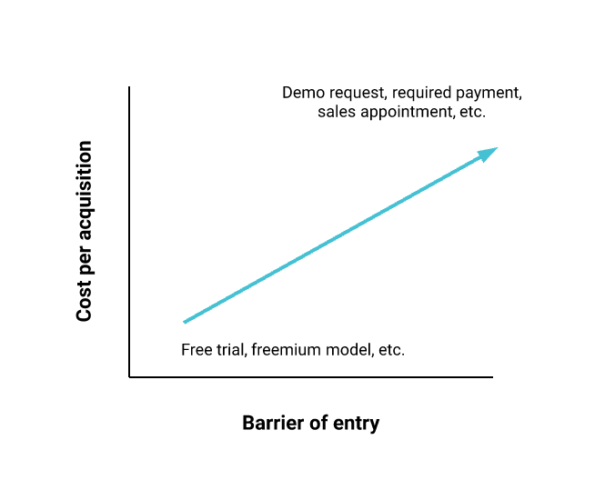 What if my product has a high barrier of entry? Does this mean I shouldn’t advertise on Facebook? You can still run effective Facebook Ad campaigns if your product/service has a high barrier of entry, however, you’ll need to promote ads that are further up the funnel, i.e. newsletter subscriptions, content downloads, etc. To sell a shift like this, you’ll need to calculate the conversion path of your top of funnel assets in order to quantify the potential ROI for your reimagined ad campaigns. For example, if you’re going to start promoting newsletter signups as a low-intent alternative to increasing engagement on Facebook, you’ll need to calculate your subscriber-to-paid rates in order to calculate the ROI of your ads. So let’s say you convert newsletter subscribers to paying customers at a rate of 20%. And your new ads generated 100 new newsletter subscribers. You can forecast that for every 100 newsletter subscriptions generated via Facebook, you’ll convert 20 to paying customers. Now you have a number and conversion path to optimize for that matches the level of intent of the channel. Here’s a quick exercise that will better illustrate the point I’ll try to make here. Jot this down on a piece of paper. What’s your average revenue per user (ARPU)? What’s your average sales cycle (days)? If you don’t know the answers to any (or all) of these, that’s the first red flag. You shouldn’t be advertising anywhere until you know the economics needed to calculate acquisition costs and ROI. Audience: A big enough audience that allows you to target effectively. If your audience is too niche, it won’t drive ROI quickly enough to have business impact. Payback period: A shorter sales process that allows you to quickly reinvest cash back into the channel to optimize and scale the output. (And make more money!) A longer sales process (many service-based companies) would need to eat a lot of up front cost in order to continue reinvesting in the channel. To further illustrate the point on ARPU, here’s a scale of where some companies you may know sit. Low ARPU: These companies need to convert many, many customers/users in order to even cover the cost of advertising (if they cover it at all.) This typically swings B2C and includes most of the social networks that you use today. Companies at this end of the scale rely on built-in network effects and other virality tactics to grow. Mid: Here’s where many of the apps you use for work fall. They’re not cheap, which is good because that means the economics are there to cover costs and reinvestment. Depending on ARPU, 50-100 paid conversions could not only cover advertising, but result in profits that allow you to scale your efforts to even greater success. High ARPU: Swings B2B enterprise. These products/service usually have extremely high ARPU, a small(er) niche buyer, and a longer sales process. It’s unlikely a simple Facebook Ad will carry the level of influence necessary to progress a deal of this size. The sweet spot is somewhere right around the middle to low-middle and depending on the payback period, middle-high. Again, a low/high ARPU doesn’t mean you shouldn’t experiment with Facebook Ads, it just means you might have to consider advertising further up the funnel and promote awareness campaigns that get people into a conversion path you can forecast. There are many ways to calculate the economics and success of a Facebook Ads program, but this should at least give you a baseline in terms of a thought process for thinking through a smarter way to approach yours. Match the intent of your advertisement to the intent of the channel. 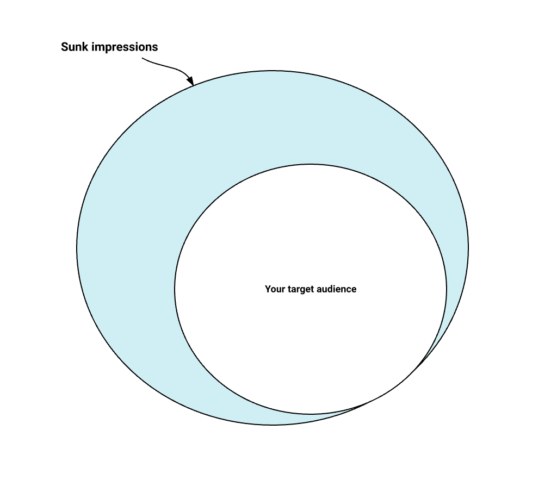 Make sure you can properly target, and not overspend on sunk impressions, your ideal customer. Consider the unit economics and whether or not Facebook (or any channel) can deliver in a way that’s profitable and scalable. How do you track and measure the success of your Facebook Ad campaigns? Drop a note in the comments and let’s talk shop.